A pack of 20 cake picks, ideal for adding a romantic flourish to your cakes or buffet foods. Packs contain a mix of 4 designs in heart and circle shapes, and can be used to dress cakes, sandwiches or canapés. Featuring a delicate colour palette of pink, ivory and purple, the picks are part of the "With Love" range, ideal for brides and grooms looking to give their special day a whimsical, romantic style. 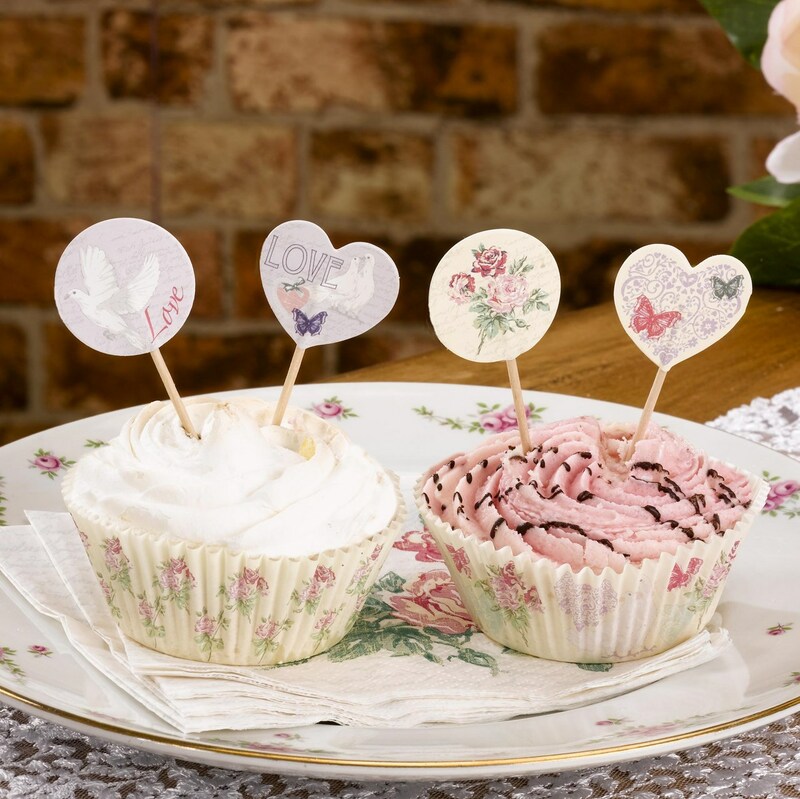 Made from high-quality materials, these cake picks offer a fuss-free way to dress your wedding food and can be combined with other table accessories in the range.